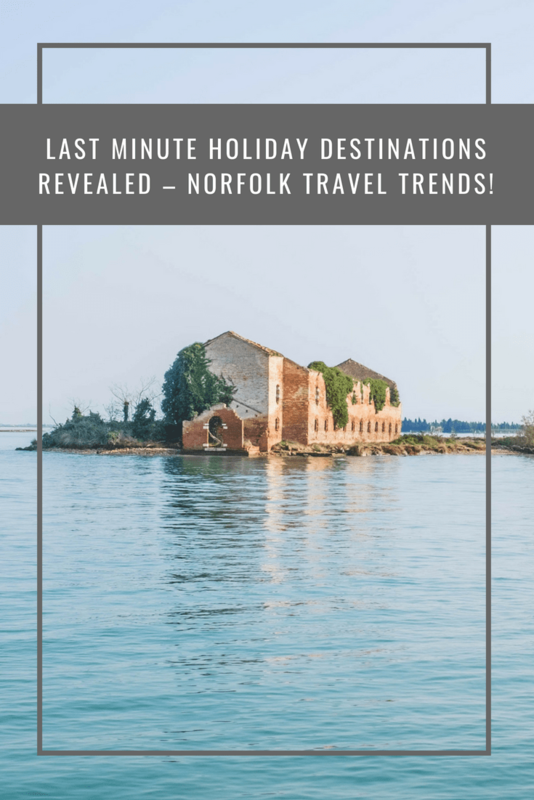 Last-Minute Holiday Destinations Revealed – Norfolk Travel Trends! When do you book your holidays? Are you a do it at the last minute type? I have to say I am. I rarely book in advance. Why? Well, I am always looking for a great deal and this often results in us looking for a holiday at the last minute. Apparently, I am not alone with this, Google report last-minute holiday bookings are on the rise. In fact, they are up 269% month on month! Years ago I remember searching for last-minute bargain holidays via Teletext and waiting for the TV to scroll through hundreds of options. Do you remember that? Oh, how times have changed! With my kids in school just going off last minute isn’t an all year option but even in the school holidays, it is very possible to bag a brilliant last-minute deal. So, where do folk go on their last-minute holidays? We usually look for the sunshine and a great beach but for many people, a city break is the desired option. Have you ever wondered what impacts out holiday choice the most? Is it family size, the holidays of our childhood or could it possibly be down to where you currently live? This seems bizarre to me! I am sure there must reasons and explanations as to the WHY of these correlations but whatever the explanation the facts are clear and the results are in! So where do you think folk form Norfolk most likely to go on their last-minute holiday? Londoners apparently favour long-haul destinations like St Lucia, Sri Lanka and Jamaica – could this be due to greater wealth in London or maybe the stresses of city life mean that those that live there really need to get far away! Do you fancy seeing where you are most likely to holiday? LoveHolidays is an easy to use website where you can also search for your perfect holiday by price, weather, board basis or budget rather than just location – How fabulous! Bring on the last-minute holiday!